Recipe adapted from my friend Lind Vaughan’s version of Benne Bits. Preheat oven to 325 degrees. 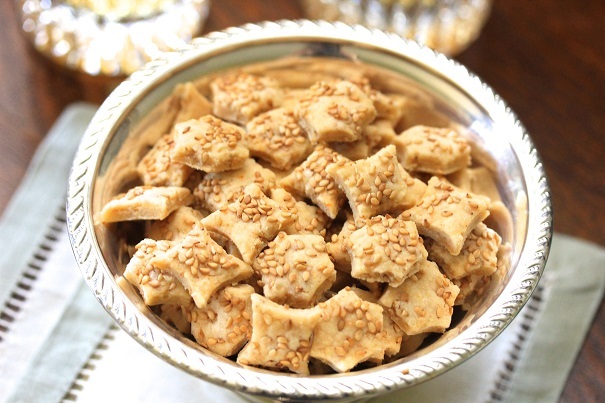 Roast sesame seeds in a dry frying pan at medium heat, stirring regularly until seeds are browned and begin to give off a fragrance. Cool seeds. 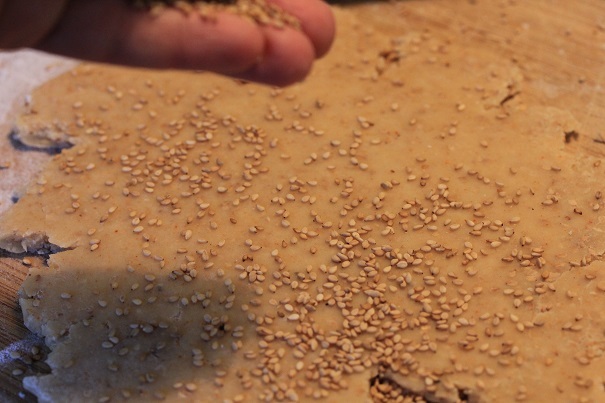 In a food processor, process flour, salt, cayenne and 1 tablespoon of the roasted seeds for 30 seconds until seeds are finely ground and ingredients are well incorporated. Add butter and process until mixture is crumbly. Add half of the water and pulse several times until combined. 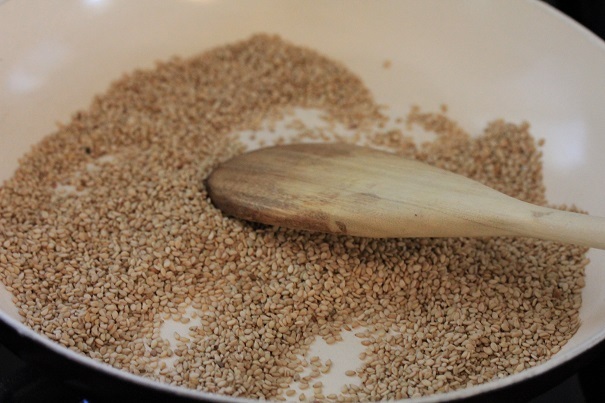 Add 1 tablespoon sesame seeds and rest of water. Process another half minute until dough begins to form. 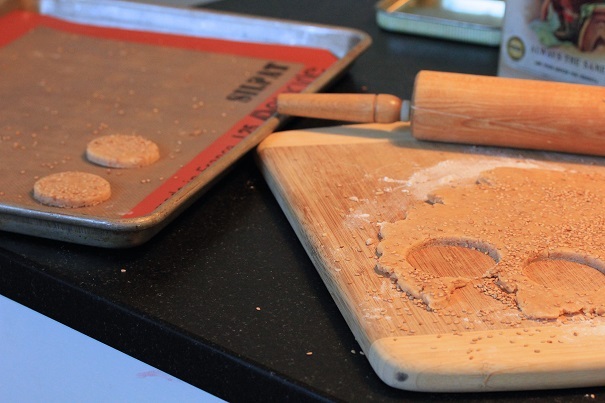 Put dough on a lightly-floured surface and roll out to ¼ inch thickness. 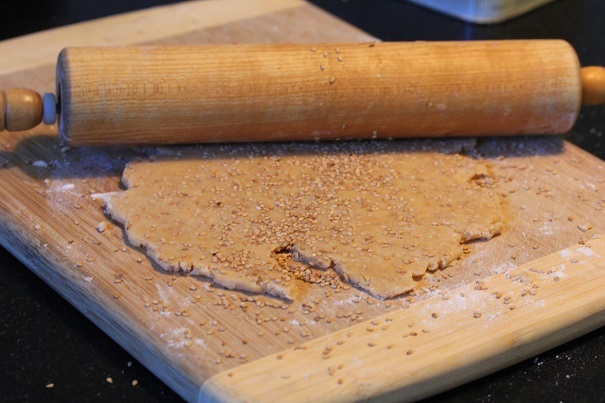 When dough is rolled out, sprinkle surface with sesame seeds and roll into the dough. 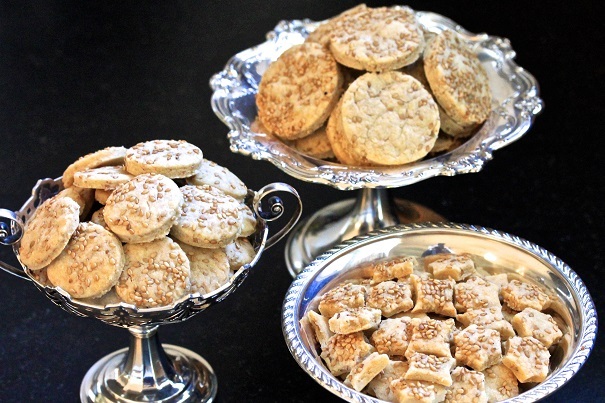 Cut out bits with a small cookie cutter (I made them in three sizes, but I prefer the smallest size because they’re more like eating cocktail peanuts than crackers, and people will grab a handful rather than just one.) and place on a silpat-covered baking sheet. Bake 15 minutes for the one-inch size benne bits, 20 minutes for the two-inch sized bits and 25 minutes for the 3-inch benne bits. Serve with cocktails.